While garlic breath might not be good for your social life, Curtin University researchers have found a certain garlic extract that may fight against Alzheimer's. You may have heard that garlic is good for treating colds. But did you know that the notoriously whiffy bulb may be able to fight the more serious condition Alzheimer's disease? 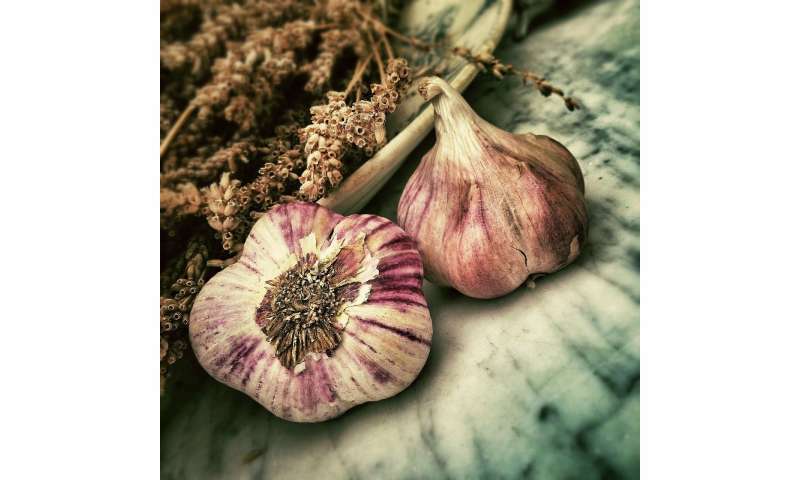 Luckily, the garlic extract that's used (known as aged garlic extract) is odourless, so you can have the positive effects without the garlic mouth. What do we know about Alzheimer's? Alzheimer's is a condition in which parts of the brain atrophy (or break down) and eventually damage the brain's function. Mild Alzheimer's disease may be characterised by confusion or fogginess, whereas more severe cases are associated with significant loss of memory. Much of the disease still remains a mystery. However, it is thought that abnormal clumps of protein (amyloid plaques) and other kinds of protein fibres might interrupt the communications of neurons. Curtin Health Innovation Research Institute's Senior Research Fellow Associate Professor Ryu Takechi and his research group are beginning to note connections between dementia and what they call "breaches in the blood-brain barrier". The blood-brain barrier is a layer of cells that regulate how molecules get in and out of the brain. If that barrier is compromised (maybe because it's too inflamed), it causes problems for our hardworking neurons, which look after our memory and cognitive function. Now, researchers have found that a certain aged garlic extract might help or even prevent the breakdown or inflammation of the blood-brain barrier so these nasty proteins cannot make their way to our precious neurons. The team are testing the findings at Curtin's Life Science Facility and will likely confirm results over the next year or so. Ryu says their results so far have been promising. He also says that aged garlic extract has shown benefits for many other conditions, especially for heart disease. One of the best things about the extract is that you can also take high doses without side effects. If you're thinking about the supplement, Ryu says he takes aged garlic extract himself!